It’s a word with the power to send tremors down the spine of even the bravest of souls. Submission. We like the idea of being in control, of determining our own destinies, of calling the shots ourselves. So the idea of intentionally laying down our rights and moving into the passenger seat can seem terror-inducing, whether the submittee (um, not a real word?) is an authority figure, a boss, a spouse, or God himself. As I anticipated turning in my book to my publisher, it didn’t occur to me how appropriate it is that the relevant term is submitting. But late in the evening on the day my manuscript was due, as my mouse hovered over the “send” button and my sweet husband encouraged me to release my 60,000 words into cyberspace, I suddenly felt the submission monster breathing down my neck. Once I let the manuscript go, it would mean it was no longer in my hands. I would be exposed and vulnerable—after all, real people would be reading my words! (I do realize this is the general point of writing a book.) On top of that, other people would now be making decisions about this manuscript—creating a cover, editing the content, positioning it, selling it. But then a merciful thought snuck into my swirling mind: these aren’t just random people I’m entrusting my book to. They’re amazing, talented people who are passionate about what they do. And besides all that, they care about me and my book. In short, I need them. And I trust them. Suddenly the prospect of submitting to them was no longer so scary. It occurs to me that submission is only terrifying when you’re submitting to someone you don’t trust. And that feels to me like a good picture of submission in all of life. It’s not so scary to submit to a boss when you know that person is pulling for you, wanting the best for you. It’s not so scary to submit to a spouse when you know he loves you and respects you and is committed to being on your forever-team. It’s not so scary to submit to God when you know he is trustworthy and faithful and good and right and true. Which he is—on all counts. Is there something you know you need to hand over right now? If so, don’t wait a minute longer to submit. There is freedom in loosening your fingers and entrusting that thing to the God who can handle it—the God who loves you. The summer I was twelve, I decided it was time to learn to dive off the high dive. I’d been jumping off the high dive for some time, but I’d never had the guts to hurl myself face-first from such a height. I’m not sure what inspired me that particular summer, because truth be told, I’m four parts scaredy-cat and only a small part daredevil. But I’d made up my mind. And in any case, I’d told my little brother my plan, so there was no backing out now. One hot August day, at the church picnic, I decided it was now or never. So right after polishing off a plate heaped with fried chicken and Jell-O salad (oh twelve-year-old stomach of steel, I miss you! ), I found myself making the wobbly trek up the ladder. How come the board is so much higher from up here? I want to do this big, scary thing. I don’t want to regret not doing this big, scary thing. And then I dove in before I could change my mind. It was, in equal parts, thrilling and terrifying. (I’m sure it was pretty ugly too, but thankfully these were the days before Facebook and Instagram, so no one has any proof.) To my happy surprise, none of my body parts broke or detached on impact. When I got to the surface, I was still my old self. Only I wasn’t. I wasn’t really any stronger or better or older than I’d been before I jumped. But I’d learned something about myself. I could do scary things. I could jump and not break. And that was worth more than the dive itself. I just turned in my manuscript for a book (a real book! which will allegedly have pages and a cover and everything! ), and it felt for all the world like a dive off the high dive. It is thrilling and terrifying in equal measure, and I’m so excited to be able to share this news with you. I’m so thankful for the people who have cheered me on as I’ve made my trembly way to the edge of the diving board—my husband, my family, my friends (both flesh-and-blood and online), and the good people at Tyndale. Thank you for reading my words and encouraging me and asking me hard questions and praying for me—and thanks for letting me do the same for you. I know I’m not the only one with knocking knees right now, and I wonder: What big, scary diving-board adventure is awaiting you? Are you trying to get the courage to take that first step up the ladder? Or are you right at the edge of the diving board, trying to muster up the courage to jump in? I want to encourage you today: Whatever you’ve been called to do, dive in. Don’t let your fear stop you. Yes, there will be times when your stomach is queasy and you’re wishing you’d passed on the second helping of fried chicken. But there is no thrill quite like plunging into the God-sized adventure you’ve been made for. You were made for this. Dive in! In case you want details, here you go! 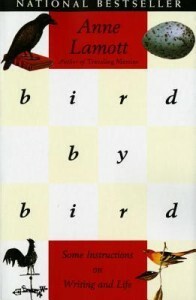 The book is called I Was Blind (Dating) But Now I See: My Misadventures in Dating, Waiting, and Stumbling into Love. It’s due out February 2016. It’s going to be quite a Valentine’s Day! I’d just stare at him blankly. There is no short version! It’s either the whole story, complete with narrative arc, character development, and sensory descriptions, or there’s no story at all. So when my writing group recently did an exercise in which the goal was to write as succinctly as possible, I found myself all but paralyzed. How can you communicate an entire message in such a short space? I decided to dust off my old English notes and try writing a haiku. Maybe the strictly enforced parameters would help me trim my word count. Three lines, and only three lines. No wiggle room on the syllables either: five, seven, five. Every word would have to count. My challenge for you today: Can you tell a story of God working in your life in twenty words or less? 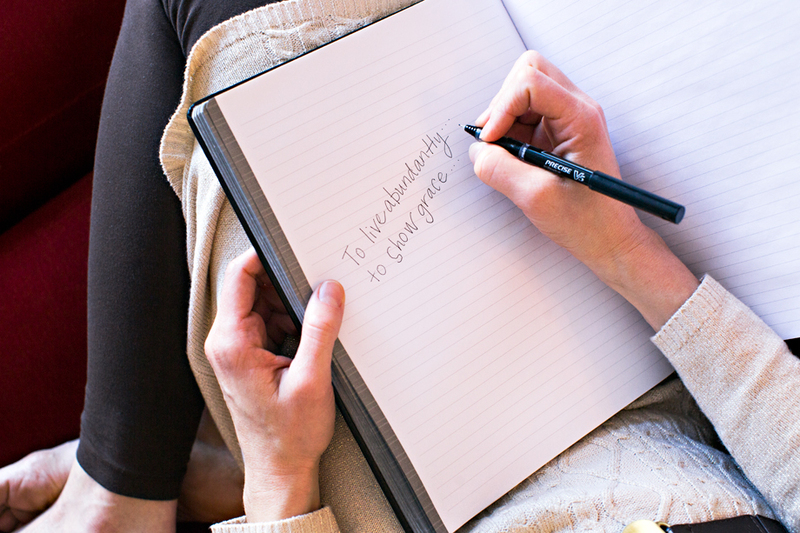 Or if you’re feeling ambitious, try your hand at your own haiku. I’d be honored to read it—please share it in the comments! Announcing the Winner of the Book Giveaway! Thanks to everyone who contributed writing tips and advice in our discussion 10 Quotes for Writers! There were so many nuggets of wisdom in your comments. I wish I could sit down with each of you and continue to glean insights from you. 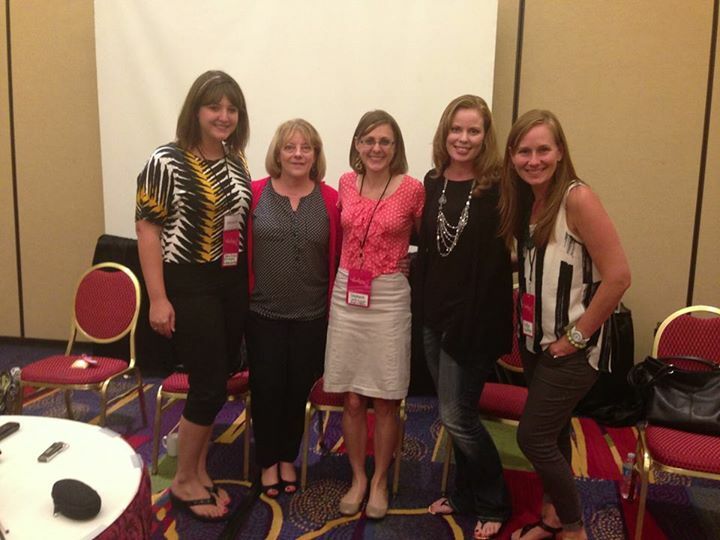 In my almost dozen years of editing, I’ve had occasion to acts as both coach and cheerleader for my authors. During that time, I’ve discovered this secret about writing: At some point or another, every writer gets stuck. Maybe it’s on the first page, when you’re staring at that dreaded blank screen; maybe it’s somewhere in the middle, when the freshness has worn off and there’s nothing left to do but slog on; maybe it’s at the end when you’re ready to be done but it’s not quite coming together. And as a writer myself, I’ve felt the pain of writer’s block firsthand. So I’ve been collecting these quotes for years, some more profound than others, with this central message: You are not alone. You may feel stuck, but that doesn’t mean you’re not a writer. You may feel stuck, but that doesn’t mean you should quit. I hope these words from people a lot smarter and a lot more talented than I am will inspire you on those days when you’re having trouble putting one word in front of the other. Write your comment, and I’ll send a free copy of Bird by Bird by Ann Lamott to one randomly selected commenter. I’m part of a writing group, and our assignment for last month was to write something funny. One of the suggested prompts was to imagine you woke up one day with a superpower. This superhero story is dedicated to all my fellow grammar geeks! Surprisingly, it wasn’t the cape she noticed first, scratchy as it was around her neck. When she peeled her eyes open, the first thing she saw, as she did every morning, was the blasted orange sticker affixed to the skylight. She glared at it, resenting its smarmy, illogical use of quotation marks. Do they mean the repairs will be ironic? She groaned, reaching for the pillow to cover her head. But before she could snooze for a few more minutes, she felt a tingle down her right arm, like a tiny electrical current. What was that? Did I sleep on my arm funny last night? She looked at her outreached arm and noticed that her finger was pointing precisely in the direction of the offending sticker. She squinted at the orange rectangle more closely and gasped. The opening quotation mark had vanished! She pointed a tentative finger at the closing quotes, and it, too, evaporated, leaving behind no ink trace or grammatical scar. She jumped out of bed, rubbing her eyes. Spying the Cheez-It box on the nightstand, she waved a hand in the direction of the cleverly misspelled Cheez. “Bam!” she said, and before her eyes, the z melted into se. Cheese-Its. Much better. Her phone beeped. She picked it up, annoyed to see that it was more spam. UR eligible 4 a lower r8! Her finger hovered over the Delete button, but then she paused. “Zing!” she cried, pointing a finger at the screen. You are eligible for a lower rate! She grinned smugly and got ready for work. Throughout the day she pointed her finger wherever she spotted grammatical violations. When she was stopped at an intersection, she changed the “Slow Children” sign to “Slow: Children.” When she passed the road-side market, she zapped the sign that read “Peach’s for sale,” sending the errant apostrophe into oblivion. At her desk, she scanned her e-mail messages for there/their/they’re confusion and affect/effect mix-ups. She reconjugated verbs, undangled modifiers, and eliminated all figurative uses of literally. When she got home, she flopped down on the couch, exhausted but satisfied. Just as she put her feet up, she spotted a yellow envelope on the edge of the coffee table. She picked it up and saw her name on the front. What’s the occasion? She racked her brain, trying to figure out which holiday she’d overlooked. It’s not my birthday, not our anniversary . . .
She reached behind her head and removed her cape, setting it on the end of the couch. There were some things that not even Grammar Girl could improve upon. Or should that be “upon which not even Grammar Girl could improve”? It didn’t matter. After all, there were some things even more important than proper grammar. As promised, here is part 2 of my announcement! (See here for part 1.) Thanks to all of you for being so supportive and encouraging—I am so thankful for each one of you. It’s a memoir called Was Blind Dating, but Now I See. As my twenties slipped by, with the formidable 3-0 lurking around the corner, life didn’t look quite the way I’d imagined. I had a career, my own home, a queen-size bed, and bridesmaid dresses of every hue jammed into my closet. But notably absent was a wedding ring on my left hand . . . and the man to accompany it. Although I’d never been one with visions of frothy wedding gowns and sparkly tiaras, I did figure I’d get married and have a family one day. But “one day” was starting to breathe down my neck, with no suitable suitors in sight. In the decade after college, as my friends jumped into relationships, got married, and moved on with their lives, I couldn’t help but wonder if God had missed me somehow when he was dishing out the marriage and family blessings. Why would he be so quiet about something that was so close to my heart? And so I started praying in earnest for God to bring the right man into my life. Instead, he brought me matchmakers. Eight of them, to be precise. Thus began a five-year journey of blind dating mishaps, misadventures, and heartaches, in which I encountered the likes of the Professor, the Linebacker, Uber-Fundamentalist Boy, and Mr. Paper-Perfect. But along the way, a funny thing happened. While I was looking so hard for one thing, God snuck up on me and showed me things I hadn’t even been looking for—things like hope and community and gratitude and joy. And perhaps most surprising of all, he revealed to me his grace. Grace so amazing that it left me lovestruck. And there you have it—the short version! The book is scheduled to come out in February 2016 (think Valentine’s Day). Thanks for coming along with me on this adventure! Your turn: Have you ever experienced God’s grace in a totally unexpected way or in a unique way during a certain season of your life? I’d love to hear about it. Note that my book even had a ribbon tie and a custom spine. Classy! 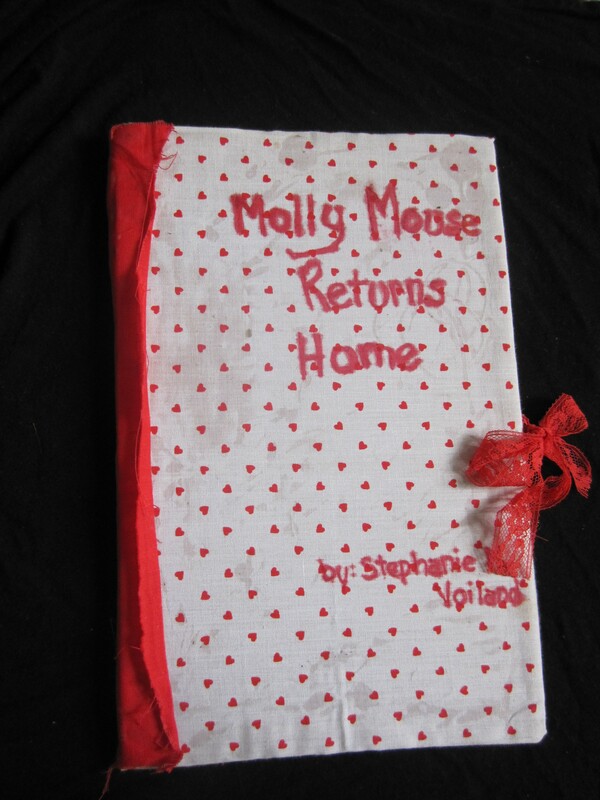 When I was in fourth grade, I wrote a book called Molly Mouse Returns Home, the riveting sequel to my third-grade debut (curious minds can read about it here). 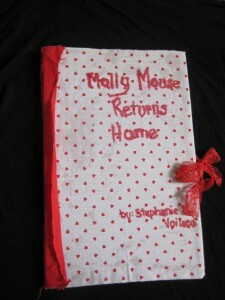 When it was Young Authors week, suddenly I wasn’t just a writer anymore; I was an author. My words weren’t merely tucked in a notebook in my dresser drawer; they were out there for the world (or at least my twenty-eight fellow classmates) to see. In short, I was getting published. The final day of Young Authors week was an all-out literary party. We read each other’s books and signed them in the back, and as I read my classmates’ stories, I marveled at these people I thought I knew. Wow, Jackie is so creative! Who knew Darren could draw so well? The pinnacle of the day was when the local acting troupe came in. They chose one story from each grade to act out in front of the whole school at an assembly, and we all sat on the edge of our seats, wondering whose stories would be chosen. My mind swirled, recalling all the amazing tales I’d read that day. The one scenario I never imagined was what actually happened. I sat there stunned. Of all the stories, they had chosen mine? Fast-forward to 2014. Just a few weeks ago, I received a twenty-six-page packet in the mail, filled with big legaly words like indemnities and proration and force majeure—and also the two most important words: BOOK CONTRACT. It has taken me a while to get my mind around it, but it’s true: For the first time since fourth grade, I’m going to be published. After I watched my story about Molly Mouse come to life onstage, my ten-year-old self was shaking out of sheer gratitude and awe. That’s when I saw my mom in the crowd. I didn’t know until later that my teacher had called to fill her in on the surprise, but at the time it didn’t matter how she’d gotten there; it just mattered that she was there. 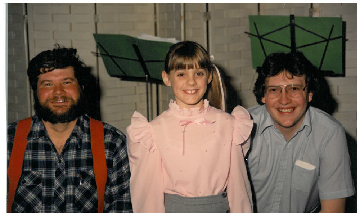 This is me rocking the side ponytail with the actors who acted out my book. I have so many questions about this. For starters: Who exactly was Molly Mouse in this scenario? And you know what? That’s kind of how I feel right now. As exciting as it is that someone is making my words come to life in a real-live book, it’s equally an honor that I get to share it with all of you. You have encouraged me, loved me, and shared your stories with me for the last several years. And it feels amazing that God has allowed me to share this adventure with all of you. I got rather long winded with this post (I guess that happens when you start by going back to the fourth grade), so I’ll save my announcement about what the book is about for the next post. Until then, I want to know about you: What’s something you’re looking forward to, big or small? 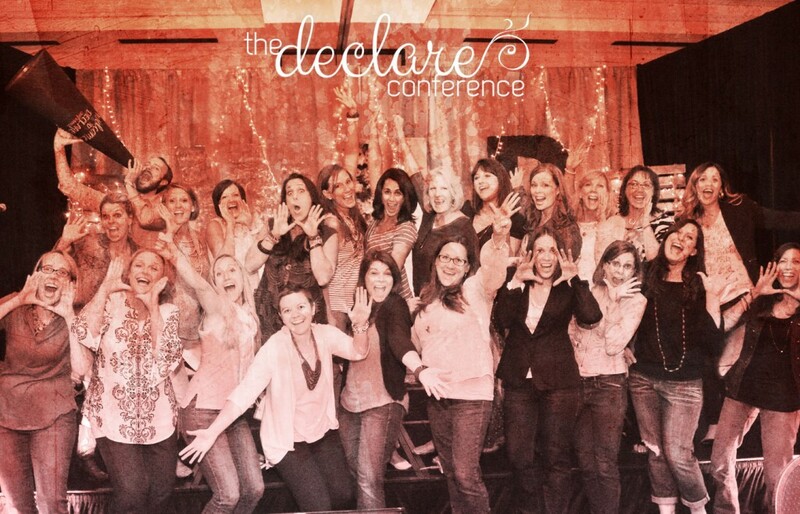 Last week I went to the Declare Conference, where I was surrounded by hundreds of smart, talented, creative blogger types. I came away inspired, full of ideas, and a little bit turtle-like, as I do believe I’ve used up all my extrovertedness until approximately 2024. At breakfast on the first morning, when we were introducing ourselves to the other women at our table, someone asked what my blog was about. I said it was about grace . . . and promptly knocked my glass of ice water all over the table and onto my lap. Okay, so maybe I should clarify: my blog is about God’s grace, not so much my own physical grace. Glad I could clear that up once and for all. I had the distinct privilege of being on a publishing panel on Saturday, where I joined a line-up of editors, agents, and writers to talk about some of my favorite things: books, writing, words, and more words! It was like Christmas (except for the part about how we were in Dallas and it was 110 degrees). In honor of Declare, I’m giving away a free copy of Lisa-Jo’s book. 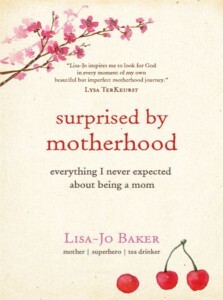 If you’ve ever had a mom or been a mom, I highly recommend this book. It’s a redemptive story about what God can do through the bond between a mother and a child—and how he reveals deeper parts of himself to us through that relationship. To be eligible, write a comment below about a highlight of your summer so far. Ready? Go! Be sure to enter your comment by Thursday to be eligible to win! I suspect every job comes with its share of hidden job hazards that they don’t tell you about in your interview—perils that likely aren’t covered by worker’s comp, either. Here are a few of the hazards I face every day as a result of my career choice. 1. It’s almost impossible for me to read without a pen in my hand. 2. My hands are crisscrossed with paper cuts. 3. I’ve come down with an incurable case of pen snobbery. I used to be able to write with a pen like a normal person—meaning that the primary prerequisite for a pen is that it contains ink and gets your message onto paper. Not so anymore. Now if it’s not a Pilot Precise V5 Rolling Ball Extra Fine, I find myself in a vague state of panic. 4. My nightstand is perpetually on the verge of collapse. Being around authors, editors, story lovers, and word people all day means my list of books to read is inexhaustible. At any given time, I’m probably in the middle of approximately five books—a book for each of my book clubs, one for spiritual edification, a nonfiction title in hopes that I’ll become marginally smarter, and a fiction book that’s purely for fun. I have a book to read in the morning and one to fall asleep with at night, a book to listen to while I’m working out and one to listen to during my commute. They say the first step to recovery is admitting you have a problem. . . .
5. My days are marked by book-induced feelings. When I was editing a book filled with stories about Southern Cooking, I found myself perpetually ravenous for fried chicken, and I’m pretty sure I snacked my way through all two hundred pages. When I worked on a book about a man who climbed Mount Everest , I felt cold all day and had to layer up my outfits for a month. When I was editing a football player’s manuscript, I suddenly had a vested (and unprecedented) interest in which teams would make it to the Super Bowl. When I worked on a book by a Texan, I shamelessly started saying y’all (you have to admit it’s more charming than the Midwestern “you guys”). So what are the unexpected hazards of your job?